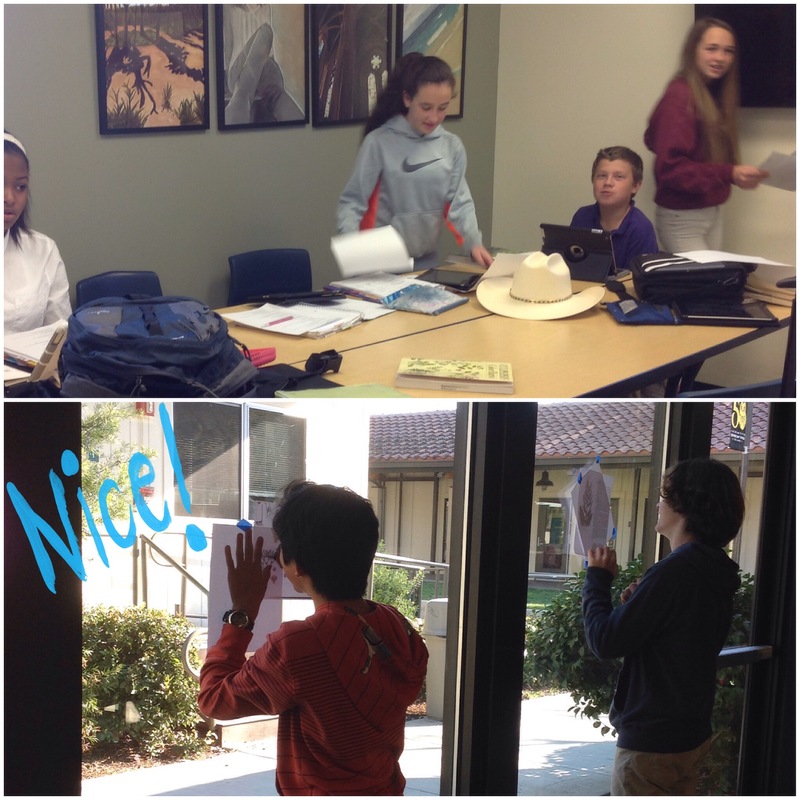 Today we had the 7th grade class come to the library to work on their Renaissance Faire plant booklets. Students spent their time researching plant origins, uses, and making sketches. During the Faire (on Friday, March 6th, mark your calendars! ), these booklets will be on display. On Tuesday, we hosted a Valentine’s Day Craft in the Room of Requirement. Hallie M. came up with the cool idea of a Valentine’s craft class and collaborated with Ms. Melinson to brainstorm ideas. Middle Schoolers came over during lunch and had a great time putting together some pretty cute Valentines. Anny S. really wants to read Alan Turing: The Enigma by Andrew Hodges—the book that inspired the film The Imitation Game, about the life and death of the famous British mathematician. Dr. Bell really enjoyed reading I am a Cat by Natsume Soseki, and says that it’s a great read if you enjoy modern Japanese literature, such as Haruki Murakami. With the news of Harper Lee releasing a sequel to To Kill a Mockingbird, much excitement was expressed. Mollie’s former writing teacher wrote a biography about her a few years ago, and just published an interesting article about her in the LA Times. For a complete list of book club recommendations, visit our Goodreads page here.